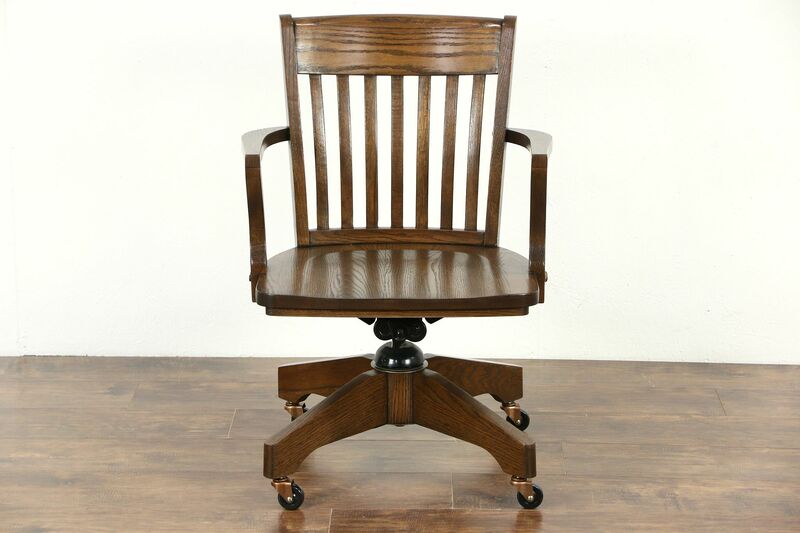 About 25 years old, a solid oak swivel desk armchair has adjustable height and tilt. This vintage unsigned library or office furniture has an excellent renewed finish. The steel mechanism is wiggle-free. Ball bearing wheels are replacements. Measurements are 24" wide, 18 1/2" deep, 34" tall and the seat is 18" high, adjustable up and down.